Swim smart. Swim Safe. | Flippers Tours & Rentals, Inc.
Flippers Tours & Rentals, Inc. > Blog > Panama City Beach > Swim smart. Swim Safe. Whether you are a tourist or a local here in Panama City Beach, you will notice colored flags flying above the beach. These flags are part of the surf warning system that has been instituted throughout Florida. The system uses colored flags to indicate current water conditions. Swim smart. Swim safe. Know the flags and what they mean and always respect the ocean. Stay on the sand and out of the water if there is a strong rip current. If you are caught in a rip current, don’t fight it. Swim sideways out of the current and then swim back to the beach. 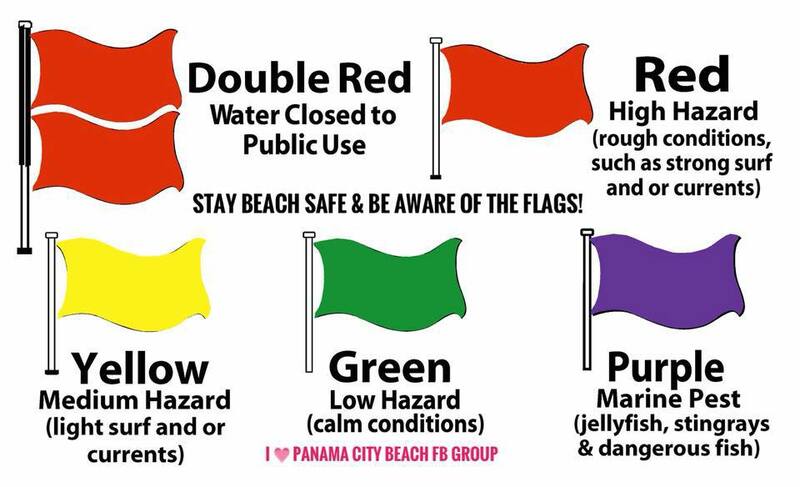 Posted in Panama City Beach, Vacation and tagged beach flags, beach safety, flag system, panama city beach, surf warning system, swimming safety, vacation, vacation fun by flippers. Bookmark the permalink.